dōTERRA Lemon is great for promoting a positive mood, supporting a healthy respiratory function, and naturally cleansing the body to aid in digestion. My favorite way to use Lemon is by rubbing in on my nose, cheek bones and sinus areas when I feel tightness and tension. It seems to clear and release the tension. I also love it for removing sticky things and unwanted marks on clothes and furniture! 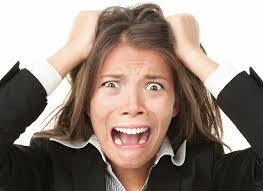 Did you know that prolonged stress can lead to adrenal fatigue? Our adrenal glands are responsible for producing and secreting steroid hormones like cortisol, estrogen and testosterone. These hormones affect every tissue and organ in your body but also effect the way you think and feel. The primary function of the adrenal glands are to help your body deal with stress. Nervous Fatigue has been personally helpful with reducing the effects of chronic stress and is my go-to recommendation for anyone who is feeling wired but tired! Vitamin B6 can also be very helpful to support your sleep cycles, mood and brain function! 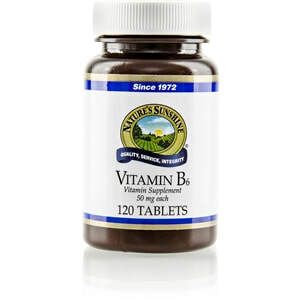 This week save $5 off both Nervous Fatigue and Vitamin B6 at the Country Cupboard. Contact me for more information about chronic stress and adrenal fatigue! And because your body doesn't produce Omega-3, you need to consume at least 7 ounces of oily fish (mackerel, sardines, salmon, and herring) per week. If you find it hard to get this in your diet, consider Super Omega-3. Quality is of utmost importance when it comes to Omegas due to them easily becoming rancid. Nature's Sunshine's quality is their primary focus so you can rest assured this will give you the benefits you are looking for! 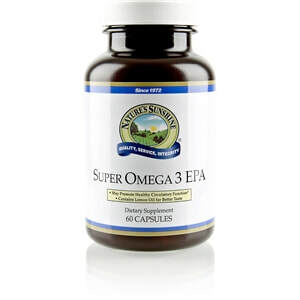 This week save $5 (normally $38.65) off Super Omega-3 at the Country Cupboard. 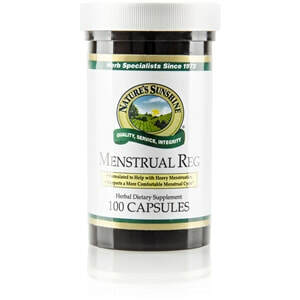 Do you suffer from painful, frustrating hormonal irregularities? Do you wish there was something to ease your monthly issues or help you through menopause? Check out these great supplements for women's health! Available at the Country Cupboard in Fairbury. Did you know that Lemon is dōTERRA’s top-selling essential oil? That’s right! Lemon essential oil is a powerful cleansing agent that can help aid in digestion. * With its multiple benefits and uses, Lemon is also great for purifying the air and enhancing the flavor of desserts and main dishes. When diffused, Lemon is very uplifting and energizing and has been shown to help improve mood. My favorite way to use Lemon is in my water every morning to aid in detoxification, focus and energy plus I love the taste! So many little things happen to us in a week. In the big picture, they are not "health concerns", but when they happen, they grab our attention. This week someone reached out to me with stomach upset. It's not always easy to identify what's causing it. It could be anxious feelings, a stuck digestive system, a little tummy bug, lack of sleep, travel, etc. Here's what I shared with her because she wasn't sure why it was happening. *Use magnesium (citrate is best) (this helps with cleaning out the digestive system and with stress). *Use OnGuard on bottom of feet. (immune support). *Vitamin D3 is helpful for stress and immune support, especially during this time of year. It can be an emotional word. But you don't have to stand back and hurt. Here are a few things you can do to support your body. De-stress. Serenity, Balance, Peace and Whisper. Detox. Reduce toxin exposure. Avoid toxic cleaning and body/facial products. Clean out your medicine cabinet. Gut Support. Good green, fermented, fibrous food. Add to a 10mL roller and fill with Fractionated Coconut Oil. Use on abdomen 2x day. If you'd like to try this blend, but don't have the oils. Contact us. We can make one especially for you. A new essential oil released by doTERRA this fall! Grown in India, this oil is a great antioxidant and has so many other health benefits! What are the benefits of the essential oil (verse the curcumin/turmeric supplement)? *The oil is more absorbable to the body. *Easily acts on cellular membranes. *Also helps with weight management, joint comfort, circulation, liver and digestive track health. It's once again time for another monthly challenge! With the holidays approaching, winter bugs can come. Instead of reacting after you are feeling under the weather, here's a great opportunity to do something to help you stay well! *I stay healthy. That means I don't have to worry about missing special events. I can function at full capacity because I feel good. I can even be around "sick" people because I don't worry about getting it. My immune system is strong. *I use OnGuard every day and I haven't been felt unwell for several years. (I did have a slight cold that lasted a few days in there, but that's it!). *We were exposed to the "pukes" a few times in the last year. We just popped an OnGuard softgel. We know Oregano and Melissa kick up the immune stuff and fight off the bad guys. And guess what? It works! The ingredients in the OnGuard softgels are: Wild Orange, Clove, Black Pepper, Cinnamon, Eucalyptus, Oregano, Rosemary and Melissa. Many of these essential oils have anti-bacterial properties. They also boost the immune system. 1. Text or email us saying "you're in"
2. Purchase OnGuard Softgels ($24.50) by November 15th. 3. Take 1 every day for 30 days. 4. Report to us at the end of the month. Healthy or unhealthy. Don't have OnGuard Softgels yet? Order them here. Looking to enhance metabolism, mood, digestion, energy and support your nervous system? Consider a cleanse! Season change is the perfect time to cleanse to help your body move from summer to winter. 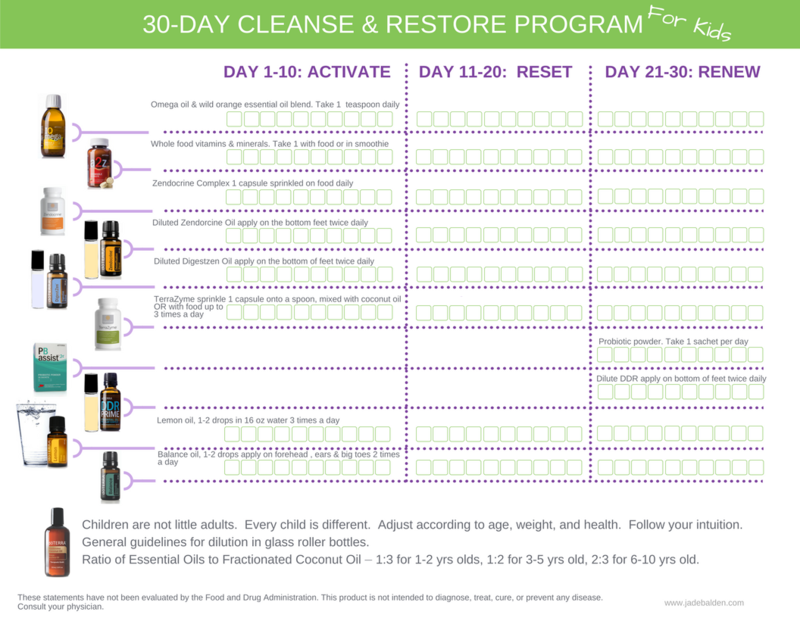 doTERRA has a 30 day cleanse that is both simple and gentle! doTERRA's cleanse and restore kit has everything you need to get started. Our lives are too precious not to be nurtured! My vision is to inspire you to greater health and wellness! Stop by often!